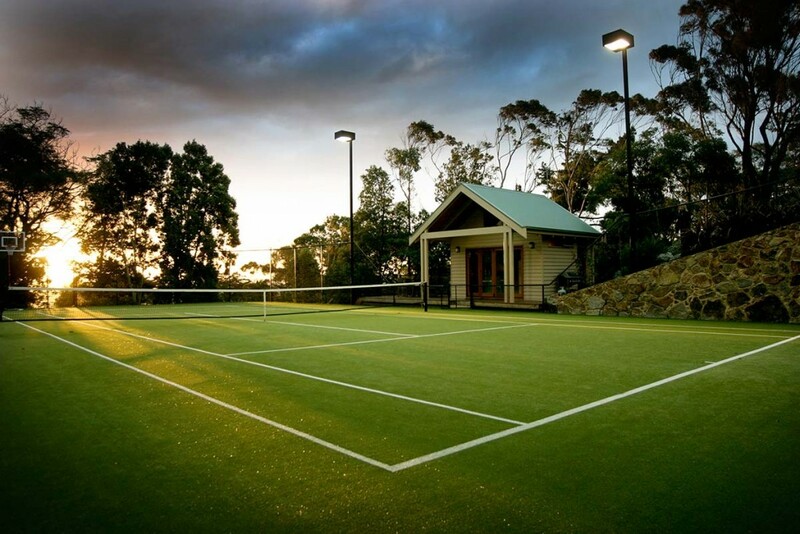 Located on Olivers Hill this tennis court provided an enormous challenge. 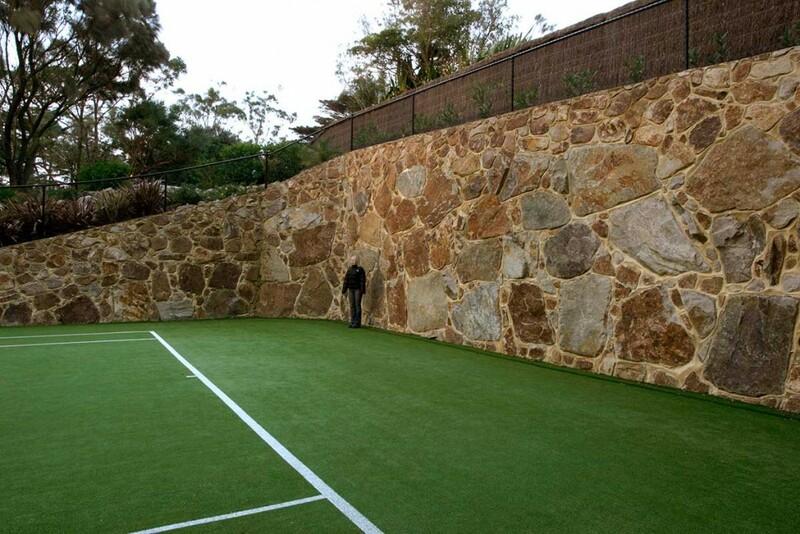 A 5.0m high Dromana stone retaining wall helps address the enormous slope across the court area whilst the low side of the court is supported by a series of dense polystyrene blocks designed to minimise the loading on the unstable cliff top site. 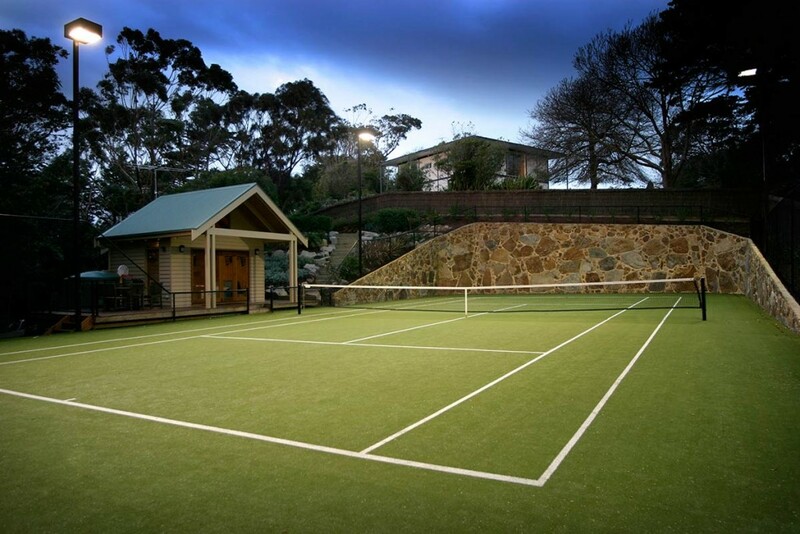 The tennis court features a Spectra Ace floodlighting system and a Omni court Pro synthetic grass surface with green sand infill. 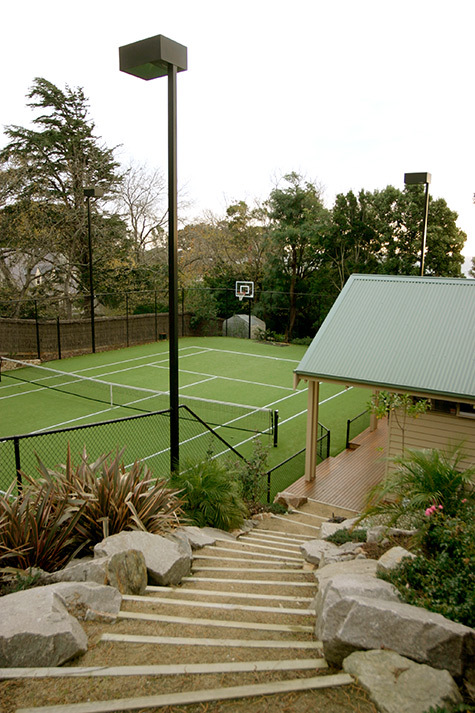 This project was judged to be “Tennis Court of the Year” at the 2006 Sports Contractor Awards.